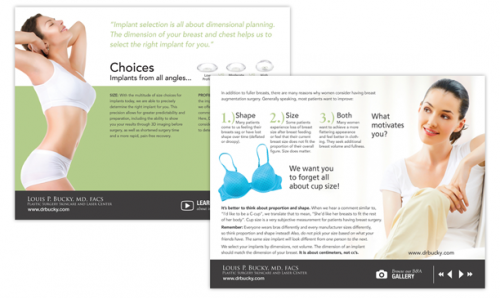 Educate and inform patients about Breast Augmentation Surgery options with Dr. Louis P. Bucky. 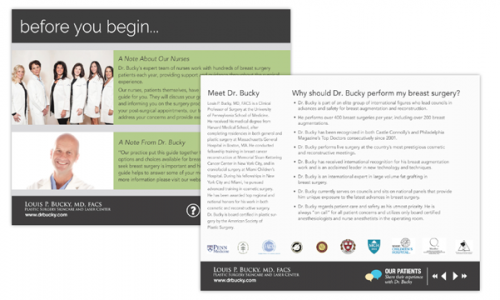 Increase brand awareness and highlight “patient experience differences” about choosing to have surgery with Dr. Bucky. 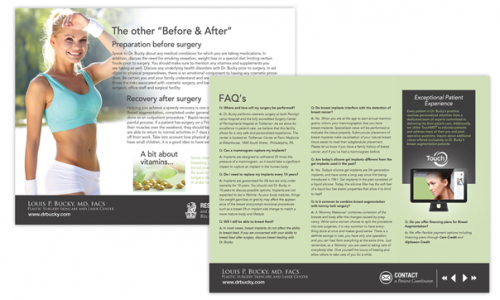 Pinpoint designed and co-wrote this 16-page guidebook to be offered as a digital download and post consultation tool. The digital guide has links to video assets, YouTube, Facebook, and other social properties. In addition, we produced a print version of the guide for hand out. 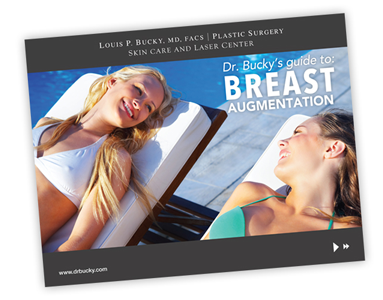 This guidebook has been in use in Dr. Bucky’s practice for over five years. 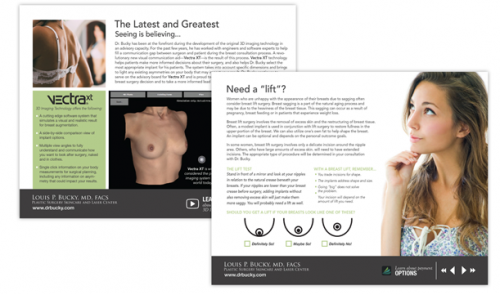 It’s in it’s third round of publication and has become a cornerstone piece in closing breast augmentation surgery for the practice. It is with great pleasure that I recommend Tami. She was instrumental in developing a custom loyalty program for our company, that has overwhelmingly exceeded our expectations. 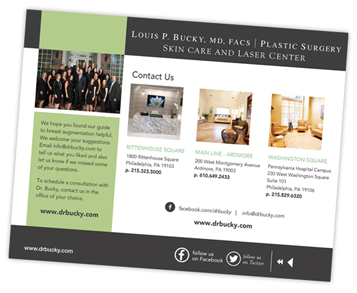 Not only has this improved patient retention, it has allowed for mutual success for both our clients and our practice.